Photographers' Formulary Sodium Carbonate, Anhydrous - 5 Lbs. 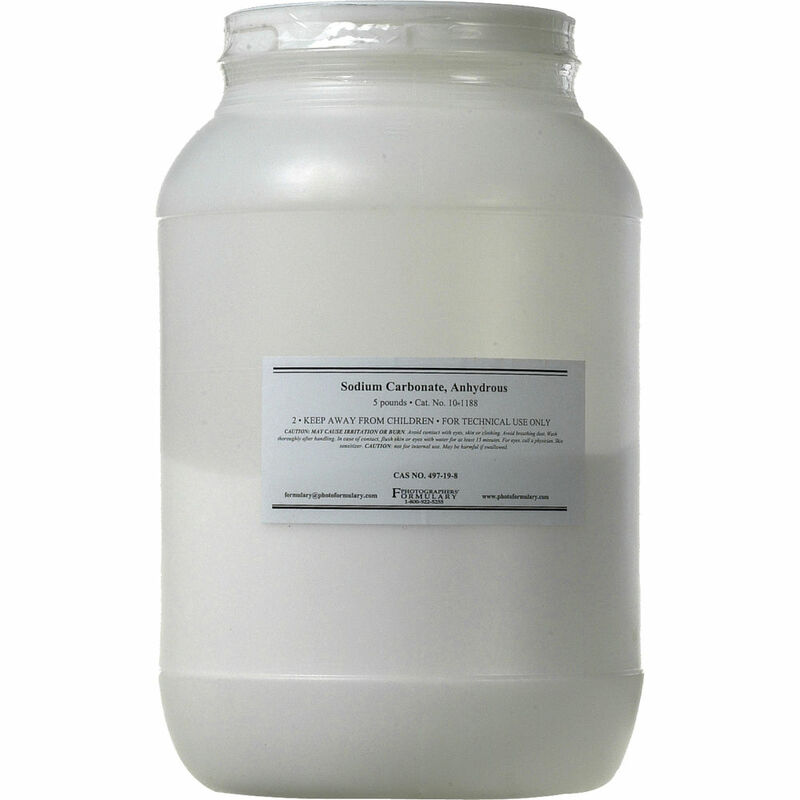 Box Dimensions (LxWxH) 7.0 x 5.1 x 5.0"
Sodium Carbonate, Anhydrous - 5 Lbs. is rated 5.0 out of 5 by 1. Rated 5 out of 5 by Anonymous from Great product. Cheap, ... as advertised. Over all quality product .... Thanx!